This is simply superb! Ari Engel of Canada has won the prestigious 2016 Aussie Million main event title. 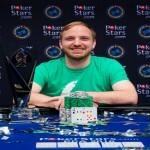 Engel defeated Tony Dunst of United States and took home the gold bracelet and a massive amount of $1,600,000 as first prize money. The event started on money 2:30pm Local time and the first elimination from the final table was for John Apostolidis of Australia. He fits himself at 7th position of the final table. The next elimination from the ring was of Taiwan Kitty Kuo. She ended up at 6th position with the share of amount $270,000. After some time Dylan Honeyman, a native Australia got busted against Tony Dunst’s. 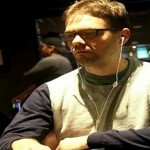 Honeyman finishes at fifth position with an amount $340,000 with him. Another Australian professional poker player Alex Lynskey got out from the final table ring, due to a high end game between him and others. He collected $445,000 being at fourth position. Then after few more hands Samantha Abernathy of the United States moved out from the champions ring with an amount of $625,000. She was playing really well but Engel, made her do wrong with his straight draw. When five players got eliminated the rest of the two remained were as Ari Engel of Canada and Tony Dunst of United States of America. At the final hand of the game Ari Engel woke up for A♥9♦ a against Dunst J♥ and 8♠. 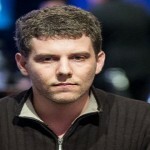 Ari Engel of Canada is the champion with an amount $AU1, 600,000. Another US poker player Samantha Abernathy completed to the third position with an amount $625,000. 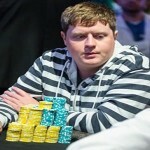 Alex Lynskey of Australia was at 4th place at the final table with his share of $445,000. At Number fifth position of the main event a player from Australia Dylan Honeyman with amount $340,000. Kitty Kuo, another woman poker player and finalist of the main event booked at 6th place with an amount $270,000. Another Australian pro John Apostolidis finished for 6th position and added an amount of $210,000 to his account. 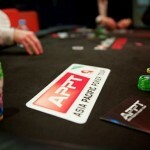 This was the end of one of the most prestigious poker tournament of the world i.e. 2016 Aussie Million. Check out pokerstars to get $600 as welcome bonus, play now.